Harbour Ridge, FL Explore marina, yacht club and more. > Harbour Ridge Yacht & Country Club presented by HR Properties, Stuart FL invites you to schedule a visit for lunch, a day or longer – luxurious rentals are available – and discover Harbour Ridge: the community’s two golf courses designed by Pete and PB Dye and Joe Lee, the Yacht Club and St. Lucie Riverfront marina, tennis courts, new lifestyle center, community pool and dog park. Send me more information about Harbour Ridge! Woodside, SC: Updates, expansions ready this fall. > Woodside, Aiken SC recently announced an expansion and upgrade of its championship golf amenity. New to the community will be a Clyde Johnston design, the Hollow Creek Golf Course Completion of this course, the second for The Reserve Club and Woodside’s fourth, is scheduled for Fall 2019. While much of the golf industry across the country is dealing with course closures, Woodside is pleased to be expanding its offerings. Owing to the sustainability and sound operations of The Reserve Club, it has the ability to provide members what they are asking for—more world-class golf. Send me more information about Woodside! The Club at Ibis, FL: Director recognized as top instructor. > The Club at Ibis, West Palm Beach FL congratulates its longtime director of instruction, Martin Hall, for being named to the GOLF Magazine list of Top 100 Teachers in America for 2019-20. Hall, the UK native who appears regularly on Golf Channel, was first named to the prestigious list in 1996, and has retained that distinction now for 20-plus years. The GOLF Magazine Top 100 Teachers ranking is well established as the industry standard for recognizing excellence in coaching. Send me more information about The Club at Ibis! Sun City Oro Valley, AZ: Come learn from pros April 3. > Sun City Oro Valley, AZ will hold a golf clinic April 3 from 3:30-4:30pm, with a meet and greet happy hour following. The event features Cindy Rarick, LPGA and Don Pooley, PGA. Rarick has been with the LPGA since 1985 and has won five tour events along the way. Pooley has been in the pro golf world since 1973 and has also won numerous tournaments. This event offers an opportunity to learn from accomplished professionals. Space is limited. Send me more information about Sun City Oro Valley! This wonderfully maintained home at 6800 Sparrow Hawk Drive occupies a quarter-acre end lot with serene grassland views on two sides. It was built in 2015 and is move-in ready. The property borders the Grassy Waters Nature Preserve, with quiet streets, ample green space, lakes and nature trails. Members enjoy an active club lifestyle consisting of sports programs, multiple options, upscale amenities and a variety of social activities. Ibis’s 33 unique neighborhoods are set among 2000 pristine acres. The Club at Ibis announces that it has been recognized as a Platinum Club of America for the year 2019-2020. The award was determined by Club Leaders Forum, the preeminent consulting source in the private club industry. The Club at Ibis had also been awarded Platinum Club status for 2016-2018. Send me more information about The Club at Ibis! Established in 1997, Platinum Clubs of America recognizes the top five percent of private clubs in the nation, as elected by club managers, presidents and owners. Qualifying criteria is approved by its Advisory Board, which is comprised of 15 club managers from some of the most respected private clubs in America. Platinum Club status is awarded in five categories: Country Club, Golf Club, City Club, Athletic Club and Yacht Club. The Club at Ibis was recognized as one of the top 150 Country Clubs in the nation and selected using criteria such as universal recognition, excellence in amenities and facilities, governance and prudent fiscal management and the members’ overall experience. The Club at Ibis’ 2019-2020 ranking moved it up 10 places to No. 65 from its position in the previous ranking period. Recently completed improvements at the community include $42 million in renovations and facility enhancements. Amenity upgrades include an 80,000 square-foot Clubhouse, Sports Village, aquatics center and a redesign of the Legend Course by golfing great Jack Nicklaus. Send me more information about The Club at Ibis! This luxury property at 8470 Egret Lakes Lane within The Club at Ibis in West Palm Beach has just been fully updated. As a special bonus, the seller will pay the buyer’s $90,000 premier equity golf membership fee, plus the first year’s annual dues. Featuring a contemporary style and open floor plan, it is turn-key ready for you to enjoy. Set on a premium cul de sac in the desirable Egret Lakes neighborhood, this 5,000 SF estate home offers water and golf views and a spectacular gas-heated pool and spa. Send me more information about this home at Ibis! A stunning entertainment setting with golf views and pool. Send me more information about this home at Ibis! Call Martin Cohen, Broker/Owner, AMG Family Realty at 954-802-5929, or, Sonia Rosen, Sales Associate, AMG Family Realty, 702-524-2411 for immediate information. An immense picture window brings the outside in. While the superb quality of the golf initially draws many to Ibis, it is the extraordinary quality of life (what they refer to as the Ibis ExperienceTM) that makes this membership well satisfied. Send me more information about this home at Ibis! The Club currently holds designations as a Distinguished Emerald Club of Distinction, a Platinum Club of America, and in 2017 recorded the highest numeric score of any Club to date as America’s Healthiest Club. Send me more information about this home at Ibis! The much awarded gated community has 33 diverse neighborhoods on 2,000 acres with architecturally beautiful homes, set in a lush, manicured setting. This fine home at 8337 Heritage Club Drive is set within the private golf community of The Club at Ibis in West Palm Beach, FL. 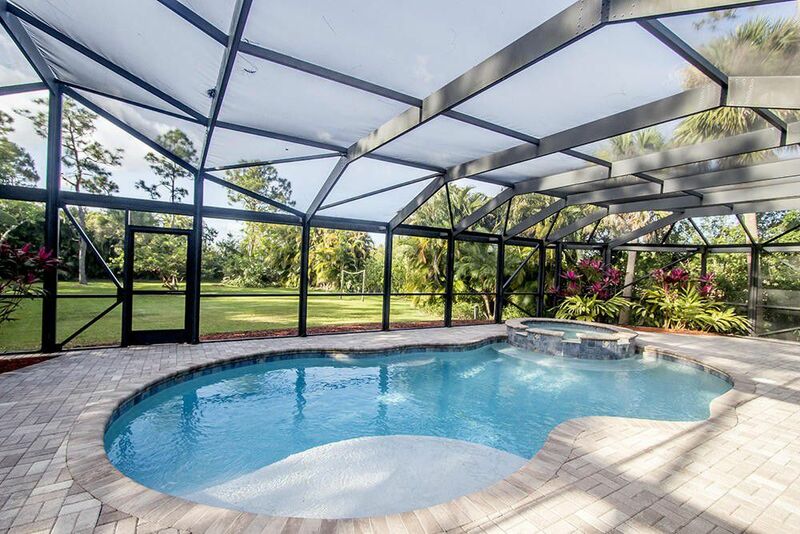 Featuring a new saltwater pool and screened patio, it has been almost completely renovated. It is within walking distance of the club and amenities. Choose from a variety of residences including condominiums, villas, single family homes, new construction and custom estates. Prices range from the mid $100s into the millions. 24-hour security from Ibis Public Safety provides peace of mind for the year round or seasonal residents. Send me more about this home in The Club at Ibis! This 2,172-sf home at 7988 Via Villagio enjoys beautiful morning light with its eastern exposure in back. It overlooks The Club at Ibis golf course and is available furnished. Send me more about this home in Ibis Golf & Country Club! While the superb quality of the golf initially draws many to Ibis, it is the extraordinary quality of life (what they refer to as the Ibis ExperienceTM) that makes this membership well satisfied. Send me more about this home in Ibis Golf & Country Club! Choose from a variety of residences including condominiums, villas, single family homes, new construction and custom estates. Prices range from the mid $100s into the millions. 24-hour security from Ibis Public Safety provides peace of mind for the year round or seasonal residents. Send me more about this home in Ibis Golf & Country Club! This 2,229-sf Sabetello home is located at 10603 Piazza Fontana across from the beautiful fountains and palms of Piazza Fontana, just a one-minute ride by golf cart from the club. Send me more about this home in Ibis! The community showcases three Nicklaus family-designed championship golf courses, including the acclaimed Legend course, originally developed and newly renovated in 2017 by golfing great Jack Nicklaus. Send me more about this home in Ibis! 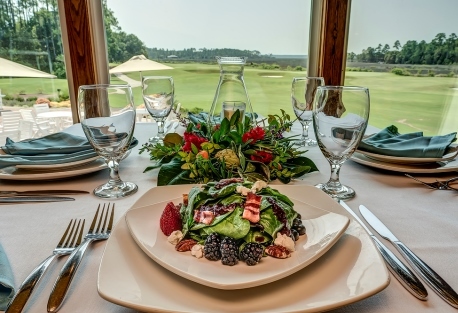 The clubhouse recently underwent a major enhancement and expansion to include banquet accommodations for up to 450. The 16-court Tennis Center holds friendly tournaments and weekly group play. On the greens and fairways, top golf instruction is headed by Martin Hall, ranked by Golf Digest as one of the game’s Top 50 instructors, and host of Golf Channel’s popular weekly show, School of Golf. Send me more about this home in Ibis! Choose from a variety of residences including condominiums, villas, single family homes, new construction and custom estates. Prices range from the mid $100s into the millions. Send me more about this home in Ibis!